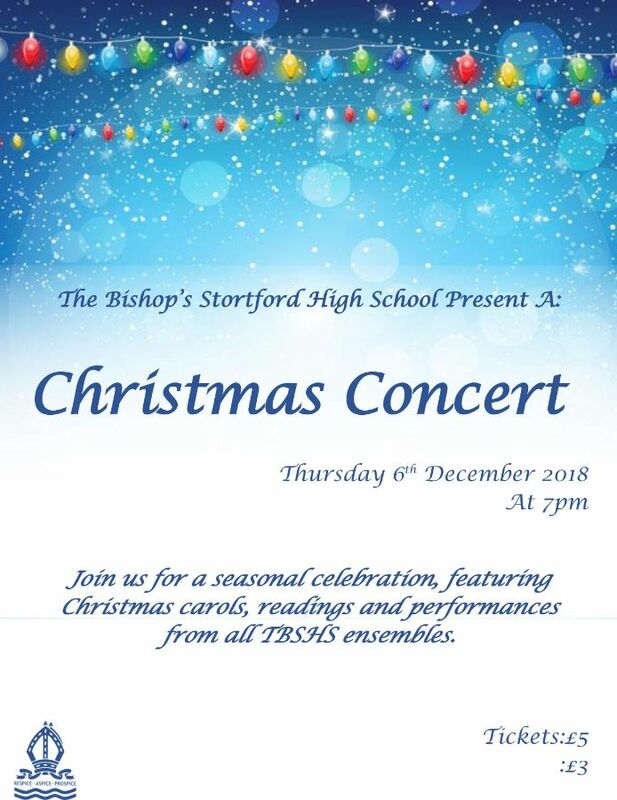 Coming soon to The Bishop’s Stortford High School, our Christmas Concert! Join us for a seasonal celebration, featuring Christmas carols, readings and performances from all TBSHS ensembles. Our annual Christmas Concert Is almost here once again and should provide a wonderful evening of carols, readings and other festive entertainment from all the TBSHS Ensembles. Ensembles performing include, Concert Band, Swing Band, Advanced String Ensemble, String Ensemble, Lower School Jazz, Upper School Jazz, Chamber Choir, Lower School, Choir, Year 7 Mega Choir, Brass Group, Rock Band. To complete this popular event, Mince Pies and Mulled wine be on sale to help create a perfect Christmas mood. Tickets are on sale now priced £5 and £3 for concessions. Don't delay - this event is usually sold out!